What does a Holy Spirit-filled life look like? 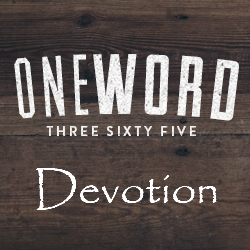 How many of us can say we truly long for the Holy Spirit to work in our lives? Do you pray for guidance from the Holy Spirit in every decision you make, or just when serious “spiritual” decisions come up? 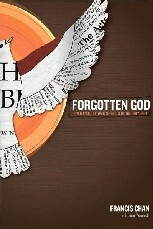 What we tend to forget is that if we neglect the Holy Spirit, we are neglecting God. We are the temples of the Holy Spirit… He lives inside of us, so how can we ignore His presence? Reading this book immediately after Francis Chan’s “Crazy Love” I did notice many similarities. The premise is the same: the presence of the Holy Spirit in our lives should change us in a way that people acknowledge God. This book, however, focuses specifically on the Spirit. It’s a challenge to open ourselves up to what God wants to do in our lives through the Holy Spirit. For some, this may require a serious step outside of our comfort zone. Chan gives several examples of what a Spirit-led life can look like through stories about people both from the Bible and modern times. He explains why he believes the American church is missing out on the fullness of the Spirit, saying, ” …I also believe that the Spirit is more obviously active in places where people are desperate for Him, humbled before Him, and not distracted by their pursuit of wealth or comforts (like we are).” I tend to agree with him. One more quote that I loved from this book has to do with a job of the Holy Spirit that we seem to have taken on as our own responsibility: “… I cannot convince people to be obsessed with Jesus. Perhaps I can talk people into a prayer, but I cannot talk anyone into falling in love with Christ. I cannot make someone understand and accept the gift of grace. Only the Holy Spirit can do that. So by every measure that actually counts, I need the Holy Spirit. Desperately.” I think this book will challenge you to look at your relationship with God in a way that you’ve never done it before. I give this one 4 out of 5.